A groundbreaking exploration of Wilde’s use of both Irish folklore and European literary sources in his two collections of fairy tales. Drawing on Irish-language folklore scholarship provides a more informed and detailed consideration of Wilde’s use of Irish folklore in his fairy tales. This book offers an innovative revaluation of Wilde’s two collections of fairy tales, The Happy Prince and other Tales (1888) and A House of Pomegranates (1891). Providing a comprehensive account of Wilde’s familiarty with Irish folklore, this study challenges the prevailing consensus that the stories draw heavily on such material. 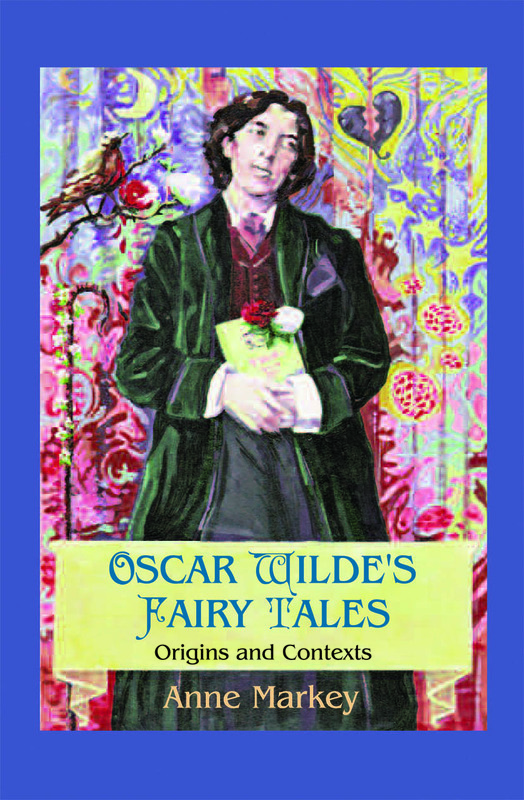 By emphasising Wilde’s own stated views on the subject – and so contesting the assumption that he simply shared the well-documented interests of his parents, Sir William Wilde and Lady Jane Wilde (‘Speranza’) – Oscar Wilde’s Fairy Tales relocates the stories within a variety of literary, cultural and narrative traditions, both Irish and European. Acknowledging Wilde’s often ambivalent and ambiguous statements about his Irish national identity, Anne Markey offers a more nuanced understanding of the importance of Ireland to Wilde’s art. Her detailed readings of the fairy tales shows that despite the stories’ continuing appeal to children, Wilde intended his fairy tales for a predominantly adult audience. Conclusion: Folklore is the father of all fiction. Anne Markey is an Adjunct Lecturer in the School of English Trinity College Dublin, and a Teaching Fellow in Irish Studies in an Foras Feasa, NUI Maynooth. Her new edited collection (with Anne O’Conner) is due for publication by IAP in October: Folklore and Modern Irish Writing.